No matter what program or specialty you will spend a lot of time with your co-resident. It is important to get a sense of who you will be working with. We may be biased but we are a really cool group! Helping to celebrate birthdays in style! We take holiday celebrations very seriously becomes sometimes you will be working. It's important to start planning your costume in advance for the annual Halloween party and make sure your charade skills are on point for the winter Fishbowl game. Office staff and residents getting together to make the perfect smelling candle. Coming to watch fireworks at the hospital with your fellow intern on call. Seeing FC Cincinnati, the local major league soccer team is always fun! 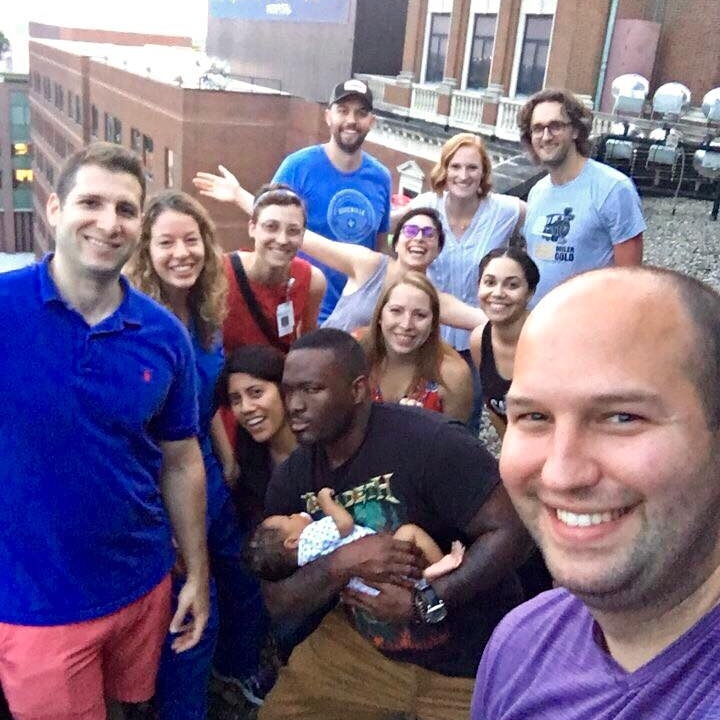 It's no secret that intern year is tough, and with 8 residents per class you become an strong support system very quickly. This year our first years had regular intern-only dinners... and yes the senior residents were jealous.